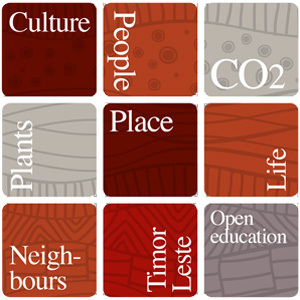 WithOnePlanet’s Culture Module explores the relationship between people, plants and place in the Asia-Pacific region with a particular focus on Australia as a developed country and Timor Leste as a developing country. What is my cultural environment? How is my cultural environment different from other places? What are some of the influences that shape cultural environments? Why is it important to look after our natural and cultural environments? How do we look after people and the places they live in into the future?